Are you considering a new career in social media or simply researching the salary you could be making in today’s job market? If so, it’s important to recognize that not all social media marketing job titles are created equal. With the right skill-set and positioning, you could earn twice as much per year just by choosing one title over the other. And much like optimizing websites for search, optimizing your career means selecting the right keywords for your resume and job search. 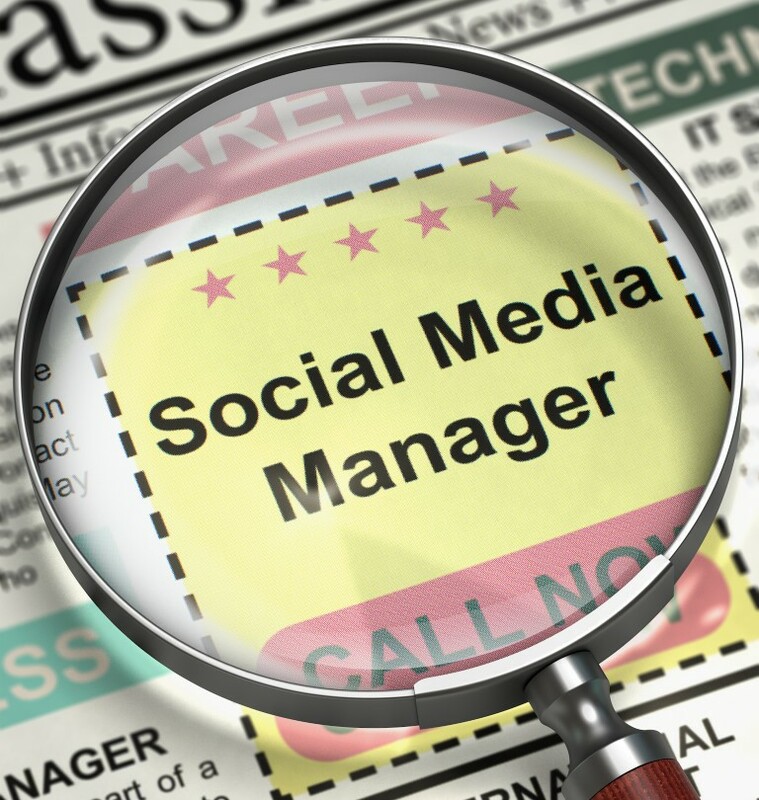 In this post, we’re going to look at the top 12 social media jobs for marketers. Note that the average base pay is based on salaries reported by Glassdoor.com users in the United States with the following job titles. Salaries vary based on location, industry, company size, experience, and education. Just in case you think a job title doesn’t matter, think again. Social Media Consultants – people who typically do anything and everything between creating and implementing a social media marketing strategy for a business – have the lowest average reported salary. Are they less important than the social media interns, assistants, and strategists? No – they just need to pick a more specific job title to increase their salary. Here’s another surprise. Interns don’t have to work for free, at least not in social media marketing. If you can prove you have the skills and only lack in experience, companies will pay an average base salary higher than that of a Social Media Consultant to have you run social media campaigns under the umbrella of an internship. Once you gain the experience you need in creating, implementing, and analyzing social media marketing campaigns, you can move to the following social media positions. Social Media Assistants usually work with the Director of Social Media or Marketing to help other members of a social media marketing team with the research, content creation, and promotion needed to successfully run a social media marketing campaign. The amount and type of tasks you will have as an assistant will depend on the roles of other social media marketing team members. For those that enjoy working with large corporations and organizations, Social Media Coordinators work with others inside a company to ensure that social media marketing campaigns meet the goals set by advertising, marketing, and public relations. Social Media Coordinators also assist in creating consistency between social media campaigns and website copy, PPC campaigns, offline advertisements, newsletters, press releases, and sales pitches. Social Media Editors typically focus on social media content. As a Social Media Editor, you may be creating content from scratch for social channels, curating content from product fans and brand advocates, or editing content for social media. So if you like creating guidelines and enjoy taking a message and transforming it into something that has the potential to go viral – images, GIFs, videos, live streams, etc. – then look into becoming a Social Media Editor. Social Media Producers work alongside creative teams to develop the content needed to help expand a brand’s reach and awareness on the top social media networks. Social Media Producers have to be extremely knowledgeable about the type of content that will create the most impact for specific industries on specific networks since the social content published by a institution of higher learning on Facebook would be different from the social content published by a real estate agent on LinkedIn. This includes keeping up to date on the latest changes to social media algorithms and features. Social Media Specialists are marketers that specialize in social media. They typically work with others to create and implement social media campaigns that help the business reach its customers on the top social networks. Social Media Strategists focus on the creation, implementation, and measurement of a company’s social media strategy, from positioning to analysis. Strategists will work with various members of a social media marketing team to ensure that social media profiles, calendars, promotions, advertisements, and engagements are congruent with social media marketing goals and are executed according to plan. As with most management titles, Social Media Managers typically earn more than Producers, Specialists, and Strategists alike. Their job – in larger organizations – is to manage the people in their team who create social media strategy, execute it, and measure it. At agencies, Social Media Managers may focus less on internal marketing and more on clients to ensure their social media marketing goals are being met. While the average salary is similar, a Social Media Community Manager handles different responsibilities from that of a Social Media Manager. Social Media Community Managers are the people who handle the engagement between the organization’s social media accounts and the organization’s social media audience. They may moderate discussions on social media posts and in social media groups, handle customer service requests, or they may moderate private social media communities specific to customers, vendors, employees, and contractors. If you enjoy working with data and understanding how that data can be utilized to increase the effectiveness of a company’s social media strategy, then you may be fit for the title of Social Media Analyst. Social Media Analysts examine the insights provided by top social networks like Facebook and Twitter as well as third-party social media tools to determine the efficacy of specific social media marketing and advertising campaigns. With the right amount of social media skills and experience on the job, social media enthusiasts who want to climb the corporate ladder can strive for the title of Social Media Director (or Director of Social Media). The Director of Social Media oversees the development and management of social media marketing for an entire organization. This position not only requires social media expertise, but also the superb leadership skills to motivate multiple social media managers and teams to ensure each achieves their social media marketing goals. Want to impress your employers? Demonstrate your social media expertise by showing them how you can find the best social media content for their company in a fraction of the time.